How to draw Maito Gai from Naruto Manga. 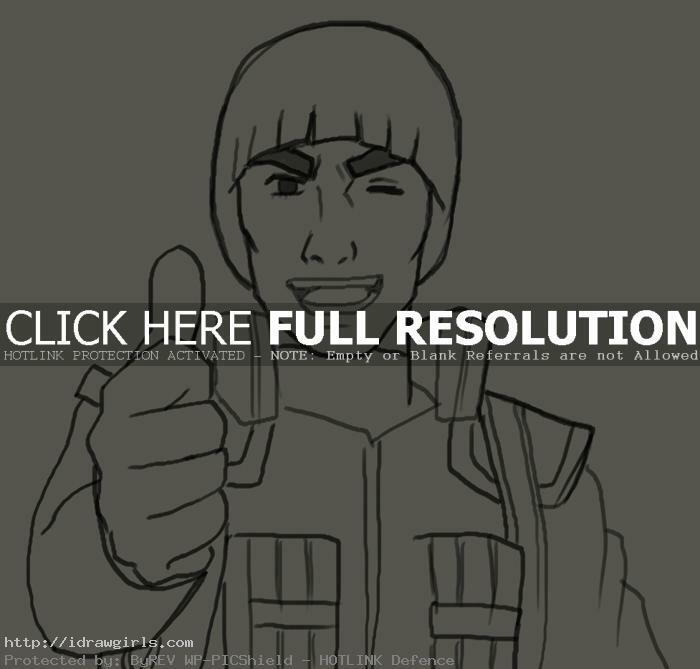 Might Guy, マイト・ガイ, is a jōnin-level shinobi of Konohagakure. He is also the leader of Team Guy which consists of Rock Lee, Neji Hyūga, and Tenten. Guy has considered his very close friend Kakashi his rival for his entire life. Known for his thick eyebrows, green jumpsuit, and shiny bowl haircut. He is best known for his “nice guy pose”, which consists of giving a thumbs up, winking, and smiling with teeth so white they give the proverbial “ping”. This action is often used by both Guy and Lee to indicate commitment to a statement they had just made, their highest form of a promise. Despite these odd mannerisms, Guy has shown to be capable of being as serious, ruthless and decisive as a mission’s success demands if needed, as seen during the Invasion of Konoha and his battles with Kisame Hoshigaki. Learn how to draw Maito Gai from Naruto Manga series step by step basic Manga drawing lesson. Learn basic drawing technique for Manga, Anime and comics from TheArtClasses.com In this tutorial you will learn to draw an Manga character Maito Gai along with basic art tips and technique. First, I usually start drawing with simple geometry shapes to construct the basic Manga head and body. This method will make your drawing process a lot easier. It aims to get the shape and proportion right in the beginning. No matter what you are trying to draw, once you understand its foundation, you can keep drawing process at ease. You also have to make sure the shape of eyes, nose and mouth are correct and in the accurate spot. I usually start of using sphere or circle as a base for character’s head shape, then next step would be figuring out the next geometry form to fit into the image. Here is a final drawing of Maito Gai. 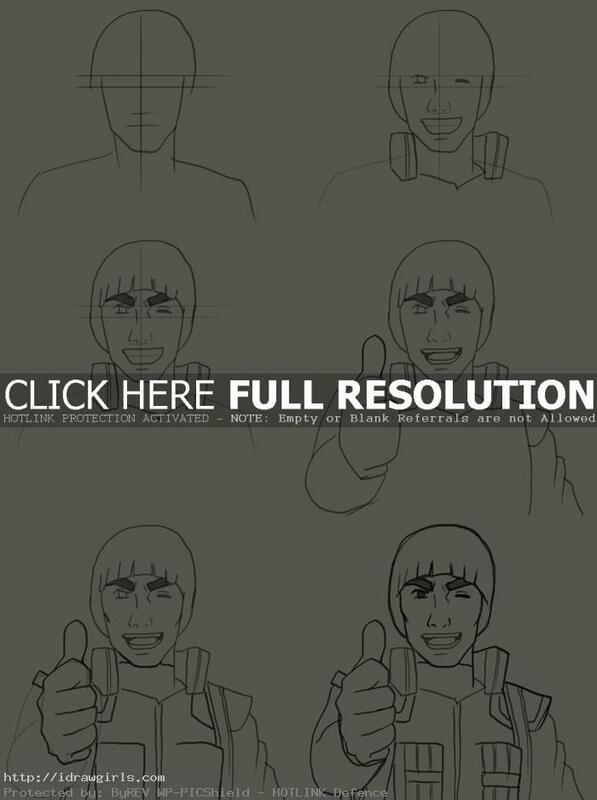 Below are step by step images how to draw Maito Gai from Naruto. Step one, I sketch his basic head shape, hair style and facial grid lines very loosely. Step two, I draw his eyes, nose, mouth along the measuring grid lines. Step three, I added more detail to his face and big smile. Step four, I roughly sketch his hand with thumb up pose. Step five, I add more detail onto his hand and the outfit. Step six, I finished the rest of his outfit design and face. Finished!